Two soldiers from France's counter-terrorism force in West Africa were killed and another was hurt Wednesday when their vehicle struck a mine in northeast Mali. Their deaths brought to 12 the number of French soldiers killed since the start of Operation Barkhane, which was launched more than three years ago to quell jihadist activity in the former French colony of Mali and in neighbouring countries. The soldiers were from a cavalry regiment based in Valence in southeastern France, President Emmanuel Macron's office said in a statement. Their armoured vehicle hit the mine on the road between the town of Ansongo on the Niger river and Menaka, a bigger town about 200 kilometres to the east. Macron sent condolences to the soldiers' families and said France was inflicting "severe blows" on extremists behind a string of attacks and kidnappings in recent years, some targeting Westerners. 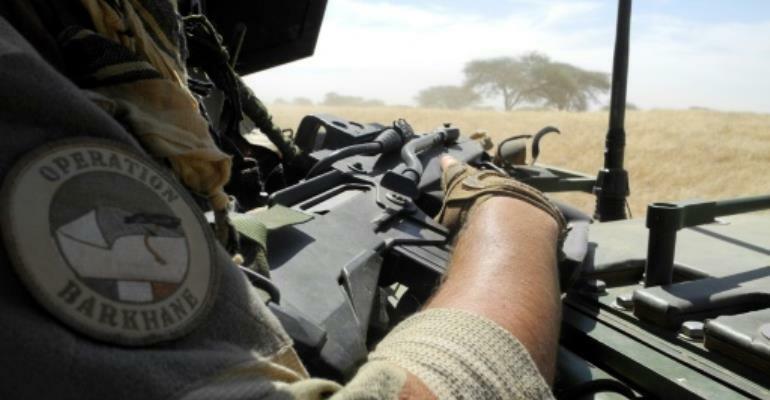 The attack came after the Malian army said it had "inflicted heavy losses on the terrorists" in the Ansongo area on Tuesday. The military said it found the bodies of two jihadists at the site of the clashes and killed "other terrorists" in mop-up operations. Eight soldiers and a civilian were injured in the operation, it said. Within two weeks the Sunni radicals had been flushed out of most urban areas but they continue to mount attacks from desert bases and expand into new territories. France hopes a new five-country African force will progressively shoulder more of the counter-terrorism effort. Burkina Faso, Chad, Mali, Mauritania and Niger will contribute troops to the force, which is expected to number 5,000 and become fully operational by mid-2018.